Corex Honeycomb is a renowned supplier of aluminium honeycomb for Architecture, Construction and Clean Rooms. The high strength but lightweight characteristics of aluminium honeycomb make this the material of choice when manufacturing decorative or structural sandwich panels for building facades, ceilings, floors or clean rooms. 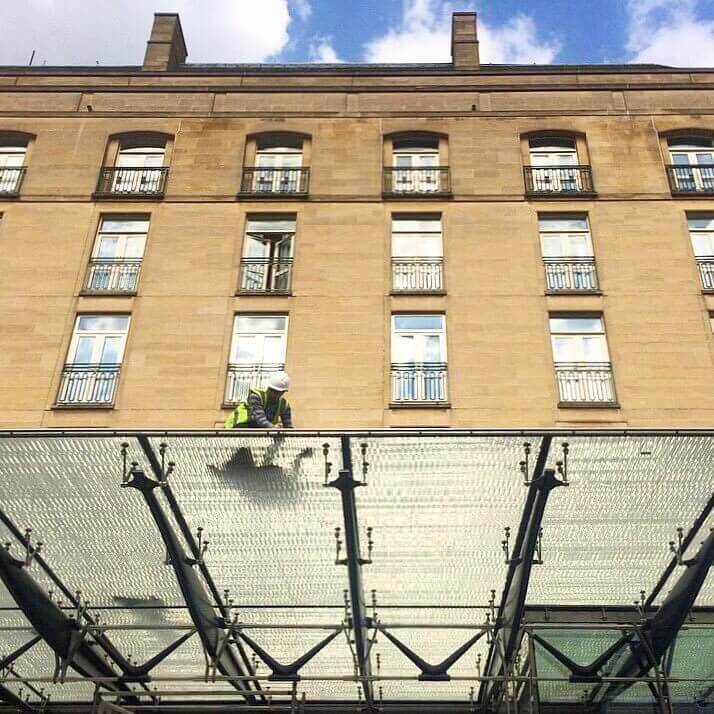 When used in the entrance of the The Berkeley Hotel in Knightsbridge, the aluminium honeycomb was placed between two sheets of glass to form a canopy. 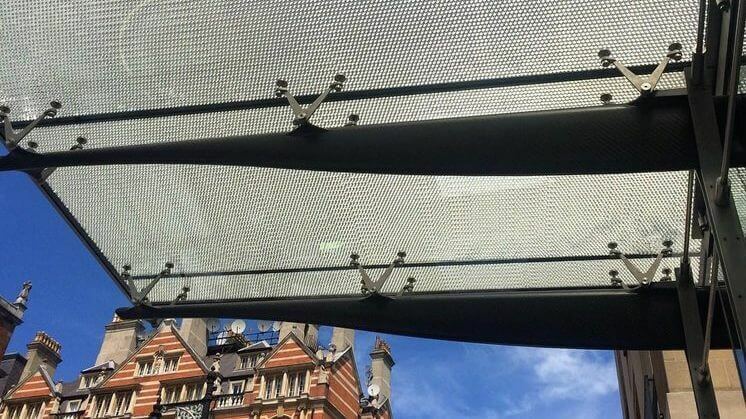 This glass canopy was supported by sixteen 9m-long carbon fibre beams. The result is spectacular, as the sun can shine through the glass and is diffused by the honeycomb cell shaped structure, before illuminating the entrance to the hotel. Bellapart manufactured the panels , working with the architects from Rogers Stirk Harbour + Partners, one of the leading architectural firms, well known for designing No3 World Trade Centre. Our extensive core expertise within the construction industry have been utilised alongside various projects worldwide including ‘The Lancing College’ development. Working alongside PSP Architectural LTD, we provided the aluminium honeycomb used within the building’s façade. 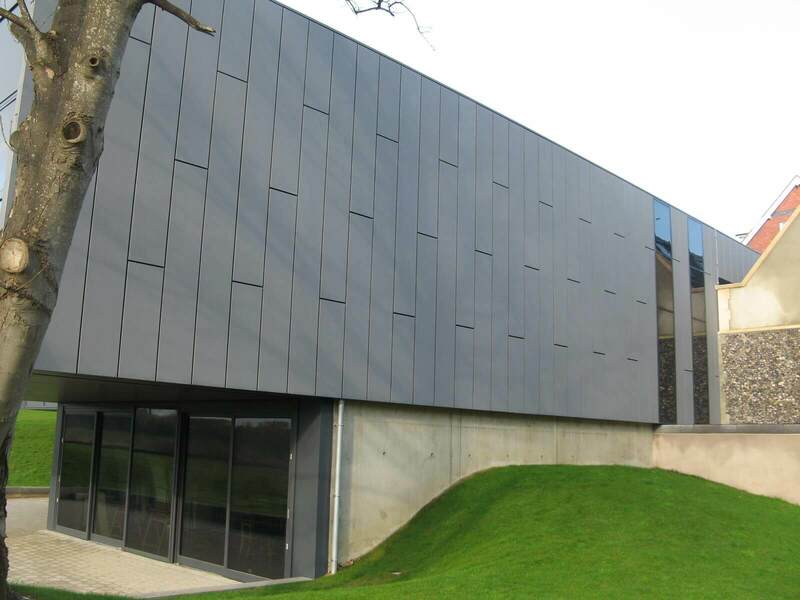 The image shows The PSP Architectural ‘Matrix 1 Rainscreen System’ at Lancing College. This Rainscreen Systems are designed to offer good drainage and ventilation in the cavity while having rainscreen qualities. The airflow through the cavity helps to remove water from the cavity, which drains out at the base. 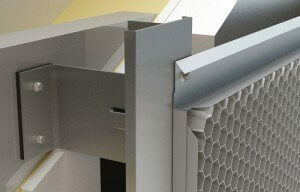 Our aluminium honeycomb is used in between external skins, structurally bonded to an internal lining, see the image below. 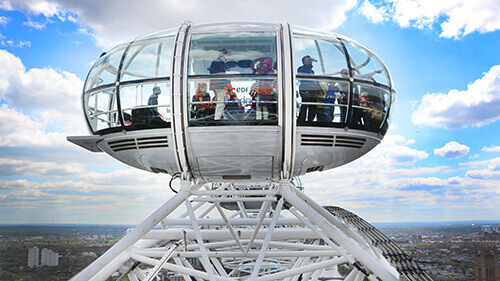 In the Construction industry,the aluminium honeycomb structure is ideal when placed between two skins to form a lightweight floor built to withstand long-term use, as seen in the flooring of The London Eye, a project with TRB Lightweight Structures Ltd. Corex Aluminium honeycomb was chosen for this project due to its high strength-to -weight ratio, corrosion resistance, thermal conductivity, and recyclability. Our aluminium honeycomb is used in the panels for clean rooms, chosen for its excellent strength to weight ratio; making it suitable for wall panels, floor and walk on ceiling panels capable of load bearing. 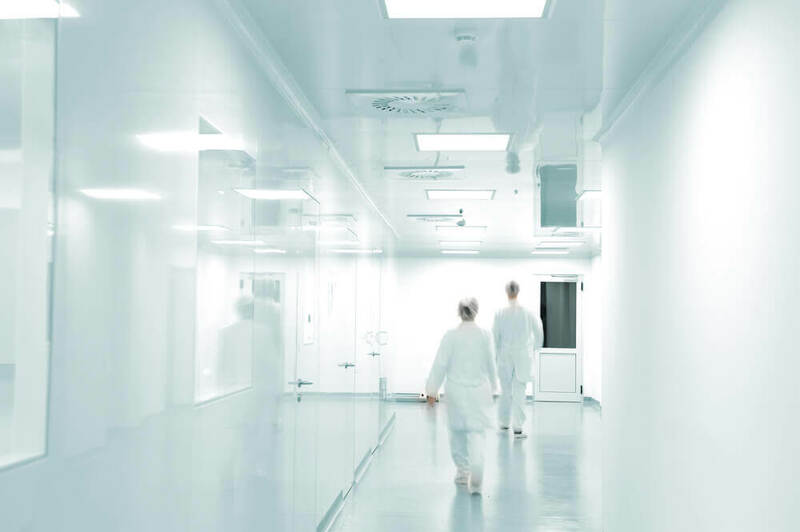 Clean rooms have a controlled level of contamination and are typically used in the manufacturing of pharmaceutical products or scientific research. Working with Gilcrest Manufacturing, we provide our aluminium honeycomb for their clean room floor and wall panels, chosen for its excellent strength to weight ratio and its fire retardancy properties. Aluminium honeycomb does not shed fibres and has zero emissions, making it suitable for the clean room environment, which must maintain extremely low levels of dust and airborne particles.